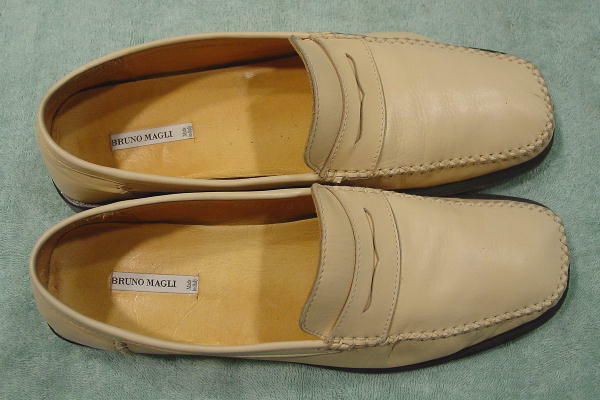 These soft leather creamy sand color loafers are by Bruno Magli and were made in Italy. 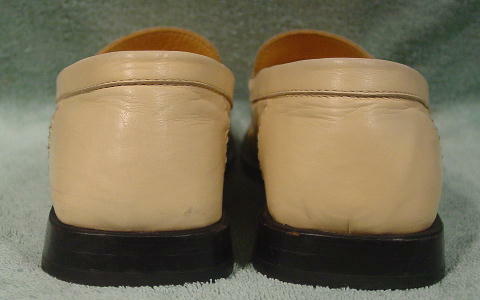 They have wide toes, a faux penny holder strap, and large stitching along the front and back sides. 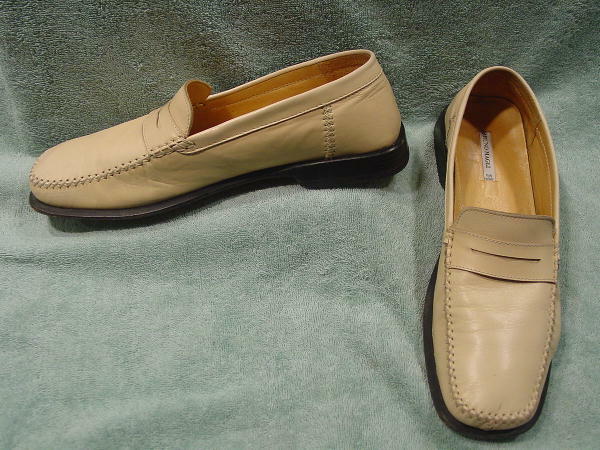 The exterior has padded dark sand color leather insoles and there are also leather linings, leather soles, and rubber heels. 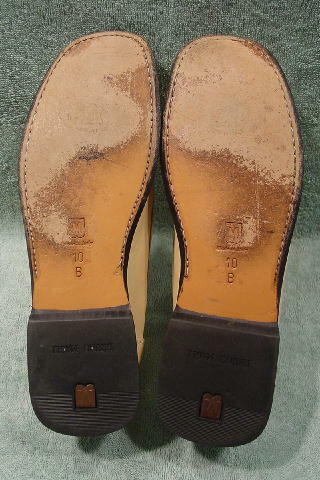 The left shoe has a darkish line near the front toe stitching. 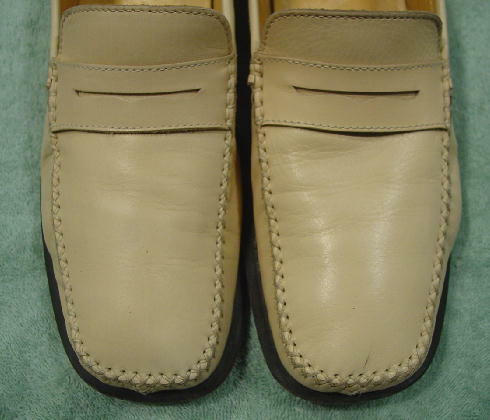 The leather has wrinkles and the left shoe has some light scuff marks and a darkish area on the upper front outer side by the sole. 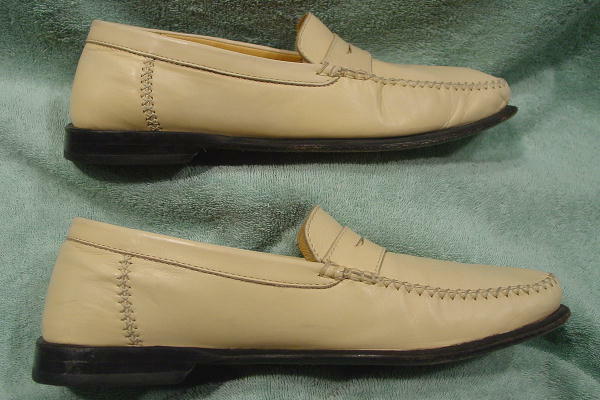 The light areas on the shoes in the pictures are just reflections. 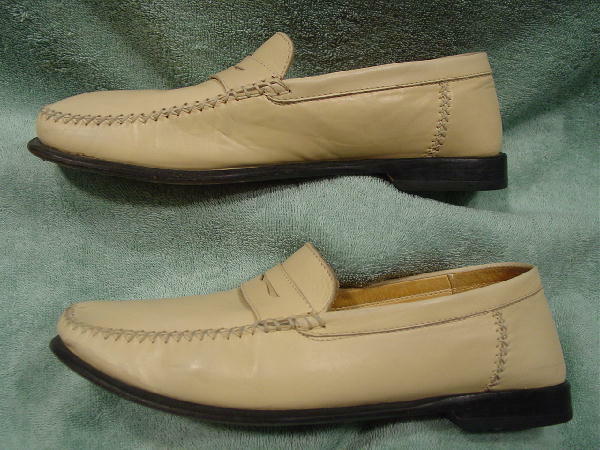 They're from a New York model. She sold them because she needed the money.